Each day trillions of dollars worth of currencies are traded. This makes forex a big part of major economies. In the past, you needed to know the right people and go through a lengthy application process to become a forex trader. Fortunately, you have the opportunity to trade forex from the comfort of your home. In recent years, digital options have become incredibly popular. Let’s take a look at the similarities and differences between forex trading and binary options. In binary options, you either win or lose all your investment. For instance, let’s say you predicted that the dollar will go up in value against the pound over the next 30 seconds. It does so you make 80% return on your investment. If your prediction was wrong you would lose all the money your risked. Therefore, the only way to make money trading digital options is to win a majority of your trades. On the other hand, you can set your own profit targets and create stop loss orders in forex. For instance, you can automatically sell a currency when the value drops past a certain point – thereby reducing risk. You can also automatically buy a currency when the value hits a certain point, thereby helping you to profit from currencies with strong momentum. Secondly, binary options is widely regarded as easier than forex. You can only choose between whether a currency will go up or down. However, much like forex, you will still need to build a strategy and expand your knowledge. The way forex and digital options share one main similarity: you don’t need much money to get started. With minimum deposits as low as $10, anyone with dedication and skill can build wealth. That is incredibly empowering. Banks conduct a majority of forex trading transactions. They trade with their customers’ deposits to turn a profit. They also use forex as a way of diversifying portfolios. Notably, banks have large amounts of data for making each trade. In some cases, banks use specialised software for automating the process. A good forex trader seems to make money from thin air. There is no inventory to manage, customer service or employees needed. Forex is the closest you can get to dealing with money directly. The potential for high returns has made forex increasingly attractive, and we are seeing more individuals with relatively small bankrolls get involved. Firstly, you can make a return when the value of a currency you hold increases in value. Secondly, you can make money by selling a comparatively lower valued currency to buy another experiencing significant gains. For instance, let’s assume you own $10,000 worth of currency. After conducting analysis, you predict that the pound sterling will continue to rise in value. Therefore, you decide to trade your dollars for pounds sterling. Your prediction proves to be correct, and the pound sterling gains 5% on the dollar. As a result, your $10000 is now worth 5% more. A top forex trader can carry out hundreds of these trades per day. There is much money to be made by teaching people how to trade forex. Therefore, you might see a lot of marketing material stating how easy it is. The truth is that it isn’t easy. You will need to get the right training, develop a strategy and build your skills. There are so many currency pairs that it can get overwhelming. Top forex traders focus on a handful. It is an excellent long term strategy to know a lot about a few markets, rather than a little about a lot. This will help you to make faster decisions and spot value where others can’t. What causes a currency to rise or fall in value? A currency’s value is dictated by supply and demand. For instance, the U.S. dollar is the world’s reserve currency mainly because oil is sold in dollars. Therefore, any country that wants to buy oil first needs to get dollars first. Obviously, oil is a commodity which is in high demand, and this helps to keep the dollar at a fairly stable rate. Every industry needs energy, and as a result oil. As a result, several industries do much of their trading in dollars. Therefore, you can buy dollars safe in the knowledge that it won’t lose a lot of its value over a very short period. Each currency has growth factors. 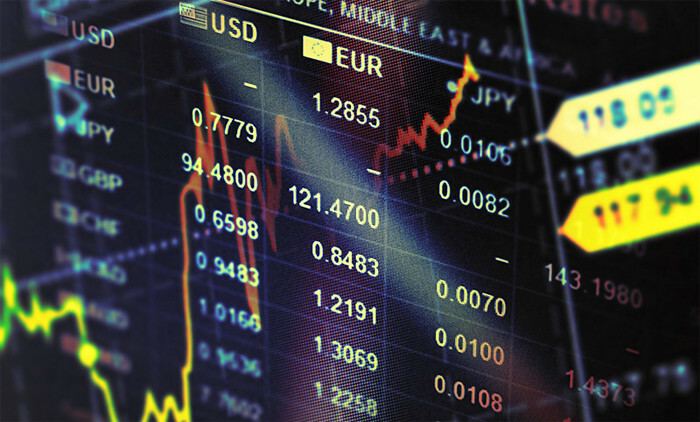 Before you trade, you need to understand the fundamentals of your chosen currency pairs. A socio-economic event in one country can have a huge impact on another country. As a result, forex traders spend a lot of their time reading charts and news. There are 2 main types of analysis top forex traders conduct on a frequent basis. Traders use fundamental analysis to determine the effect factors such as unemployment rate, gross domestic product, inflation and economic growth activity has on a country’s interest rate. This is why big political events such as election results usually have an effect on a currency’s value. For instance, President Donald Trump’s 2016 election win resulted in the dollar spiking in value. This is because investors believed that he would implement business-friendly regulations and go on a spending spree which would stimulate the economy. Each currency has different reasons for its’ movement in price. For instance, as of writing, Brexit negotiations have an effect on the value of the pound sterling. Technical analysis is when you use price movements, volume and statistics to analyze a currency. The depth of technical analysis you undertake is up to you, and there are tools available to speed up the process. A crucial part of being a forex trader lies in how you think and overcome stressful situations. You will need to set aside time to read, analyze and improve your skills. Success doesn’t happen overnight. You will also need to know how to manage your money. Even top traders go through a bad run due to unexpected events. A big mistake amateur forex traders make is to look at the charts and try to guess the direction. They might make some money, but guesswork isn’t a good long term strategy. To conclude, it is possible to become an elite level forex trader, but it will require much work. If you want something few people have, you have to be willing to do what few people will. Work on getting better every day, and you will be there before you know it.